This is category for different pets in Sydneywhere you can find various pets for sale in Sydney. Exotic pets or any other animals as hedgehogs as pets or pigs as pets in Sydney. Other pets, pets for sale ads in Sydney. Thank you for visiting our free advertising website Other pets, pets for sale, Sydney section. We provide high response free classifieds and free advertisement. Use our online free Other pets, pets for sale classifieds placement system to find, list, offer Other pets, pets for sale online! 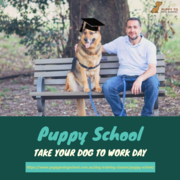 Are you Searching for Puppy School Sydney? If yes, then Stop running around as we are the best place to provide training to your puppies and Dogs. Visit : https://www.puppytodogschool.com.au/. Purchase indestructible dog toys available online at the best price. Our products are very innovative which satisfy dog’s need. Visit our website to know more our product details. Contact Us:- petnest Australia hema@sahai.com.au unit 1, 2~4 tasha pl, kings park Sydney 2148 Australia 02 8625 3317 Visit Here:- https://www. Discover our expert analysis and professional horse racing tips to win in Australia. We have above 20 years experience in this field. 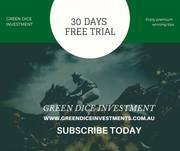 To avail benefits join Green Dice Investments membership. Start with our one month free trial..
With more than 35 years experience working with a wide variety of breeds in countries across the globe, our fully qualified staff are among the best in the business and consistently achieve an exceptionally high success rate with the animals that come under their care. We have won prizes at numerous obedience trials and are proud of the reputation we have established for ourselves, both in Australia and around the world. Forallourpets is an Australian based pet retailer that stocks a huge range of pet supplies and accessories at online. We have largest selections of dog, dogs products, dog trust toys and many more dog toys at affordable prices. For more dogs accessories online, please do visit us at https://forallourpets. Testa Rossa was a Champion racehorse - winner of Six Group 1 races as a 2, 3 & 4 year old. Testa Rossa won the MagicMillions as a 2yo, Gr.1 VRC Lightning Stakes over 1000m in 56.04 and the Gr.1 VRC Emirates Stakes over 1600m winning from barrier 16 and carrying 59kg. A TOP 10 Stallion overall by earnings and individual winners over the last four seasons! TestaRossa x Vogalargois a magnificently bred filly from one of Australia’s leading Sires TestaRossa. Inquire About These Cattle Now! Name: barnes livestock Number of Head: 9 Breed: Brangus Charolais Cross These are exceptional heifers. You'll wear out tires and burn a lot of gas and never find better. All heifers have been vaccinated and wormed with Ivomec and 8 Way. The Charolais and Black Baldies..
Veterinary qualified Animal Travel service offering first class pet transport internationally and domestically for your Very Important Pets. Animal Travel make Animal Travel easy for you and your very important pets. For a complete quotation on your pet travel needs phone 1300 856 654 today and one of our helpful, qualified staff will be more than happy to assist you. Cutty is 8yrs old and 14 hh gelding. 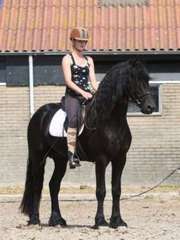 He is an excellent walker and very comfortable to ride. He is easy to do anything with. Good with cars and dogs. Good to truck and float. Good to drench, worm, catch. Very sure footed in the bush.Has done heaps rides in the snowies and other national parks. Has done some stock work and does what is asked of him. 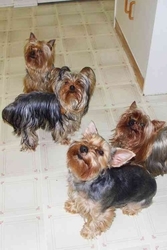 Yorkshire Terrier Puppies for sale !!! hello there due to financial difficulties and limited time of caring , i have decided to find a good home to this my beatiful mare horse.she is 9 yrs. old Beautiful gray Standing 16.1 hh/163 cm Shows at 4'3/1m30 ready for sale Loves to work for you, easy and safe ride contact me on ngaambam@hotmail. Australia free ads for Other pets, pets for sale, Sydney, Other pets, pets for sale free ads Sydney, Other pets, pets for sale for sale Sydney, Other pets, pets for sale to buy in Sydney. Find on this page free classifieds for Other pets, pets for sale in Sydney. This listing includes classifieds for sale and to buy in Sydney. FREEADSAustralia Sydney offers you a platform to post free advertisements or classifieds for Other pets, pets for sale in Sydney. FREEADSAustralia helps you search, find buy, sell, rent or hire in various categories like apartments, goods for sale, local services, cars , jobs and many more in Sydney. If you posted an advertisement in category Other pets, pets for sale of FREEADSAustralia Sydney before please use Edit my ads button to change or cancel your ad. Other pets, pets for sale Sydney ads Sydney, Other pets, pets for sale classifieds Sydney, Other pets, pets for sale free ads Sydney, ads for sale Sydney, ads to buy Sydney, FREEADSAustralia. Find here ads for sale, to buy and rent in Sydney. Goods for sale in Sydney, vehicles for sale in Sydney, Sydney real estate for sale, Sydney property for sale, property for rent in Sydney, business ads in Sydney, Sydney business classifieds, services in Sydney, Sydney services ads, jobs in Sydney, pets for sale in Sydney, Sydney dating, Sydney cars for sale.